Compact and lightweight (24.0Kg*1)—Easy operation characteristic of portable outboards DF6A, DF5A and DF4A. A new generation fully reborn with style. 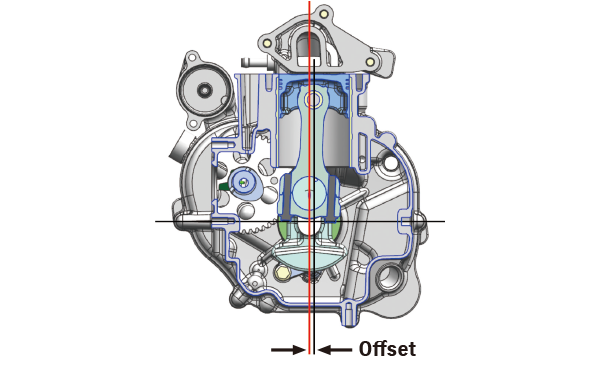 While maintaining the engine displacement of 138cm3, the conventional design has been overhauled and downsized to realize 1.0kg weight reduction (24.0kg*1). The lighter weight has improved operability. Along with weight reduction, the carrying handle integrated into the lower cover which has been rounded and made easier to hold, and an additional grip at the front further improve its portability. 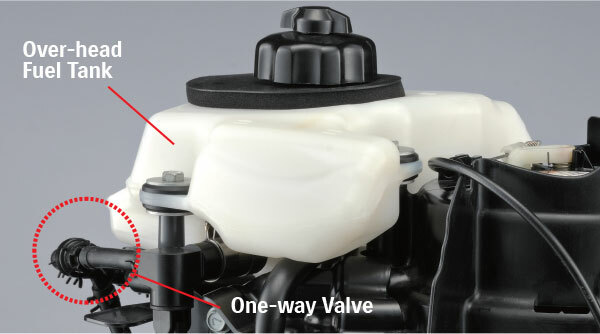 The overhead integral fuel tank and the new lubricating systems allow transport and storage of the outboard on any of three sides (port, starboard, or front) without leakage of fuel or oil. Because the overhead fuel tank is placed right above the carburettor, it also allows gravity fuel supply, enabling the engine to start instantly right after filling fuel, even after long-term storage. These features have enhanced its user-friendliness as a portable outboard motor. 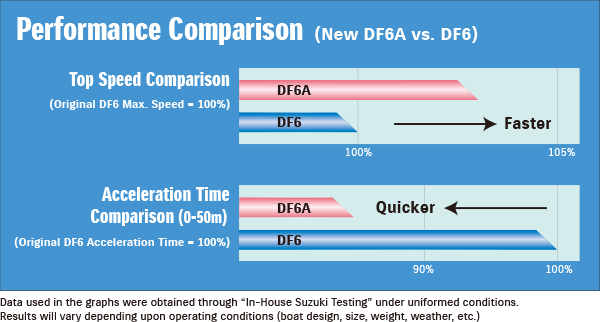 In addition to a reincarnated stylish appearance, the newly designed and developed Suzuki DF6A,DF5A and DF4A boast the unrivaled lightweight, 24.0Kg (S-shaft models). The lighter weight has improved portability as well as operability. An ease of handling that has enjoyed great popularity. Further improvements to the tiller handle have successfully mitigated vibrations contributing to fatigue and stress when transmitted to the hand during operation. The DF6A, DF5A and DF4A particularly excel at vibration mitigation in the mid-range. Because the integral overhead fuel tank and one-way valve allow gravity fuel supply, the engine can be started without opening the engine cover, even after longterm storage. The low noise level is the result of a silencer, designed to optimize the capacity and shape of the air intake. The new design of the rocker arm and the plane bearing of the crankshaft also help reduce the noise level. We also changed the structure of the parts related to the rocker arm and eliminated its excessive play. In addition, we changed the crankshaft bearing from a common ball type to a plane type. 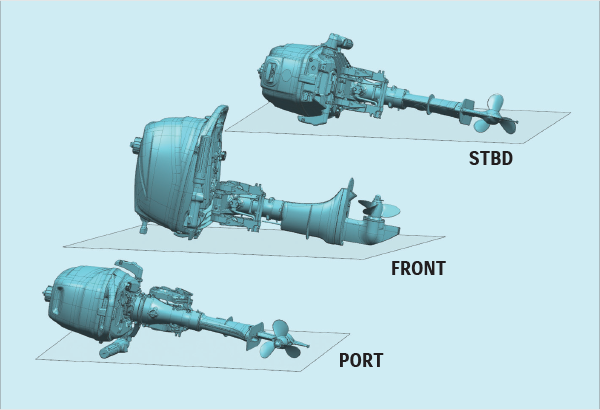 The forced lubrication system of the DF6A, DF5A and DF4A has an additional oil passage to the upper and lower crankshaft and connecting rod big end. The addition of a first-in-its-class** oil filter greatly increases the reliability of the lubricating system. 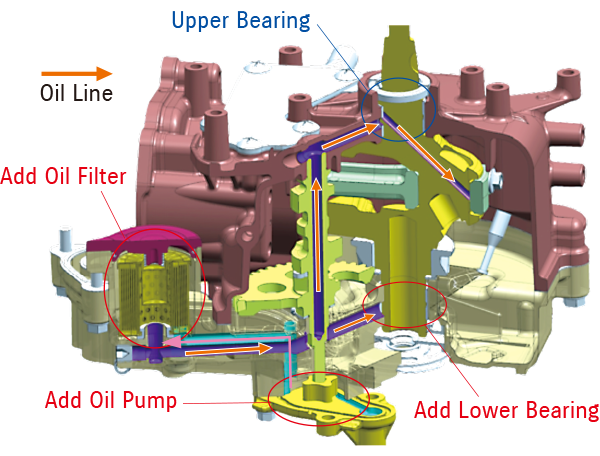 Furthermore, the new position of the oil window allows for visual confirmation of the actual lubricating condition. The new fuel and lubricating systems allow extremely convenient storage of the outboard on any of three sides (port, starboard or front) without worrying about the storage orientation. The carrying handle integrated into the lower cover has been rounded and made easier to hold. An additional grip at the front of the lower engine cover provides the convenience of carrying the outboard with both hands. The tilt system of the DF6A, DF5A and DF4A offers different up-and-down paths of the shallow drive arm compared with the previous models. When raised, it can be locked at three positions. When lowered, it can just be smoothly moved to its lowest position without locking. 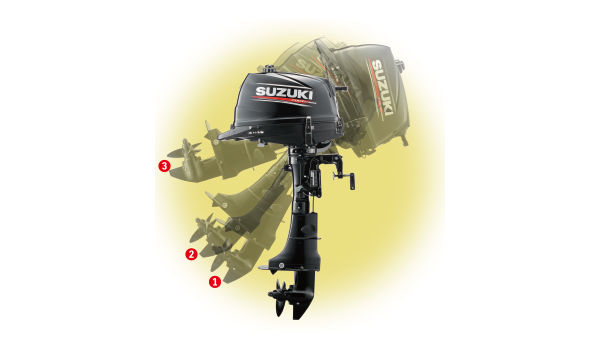 Suzuki protects its outboards with an anti-corrosion finish specially developed by Suzuki. Applied directly to the aluminum surface it maximizes the bond between the finish and the surface, increasing the protection and durability of parts that are constantly exposed to saltwater. 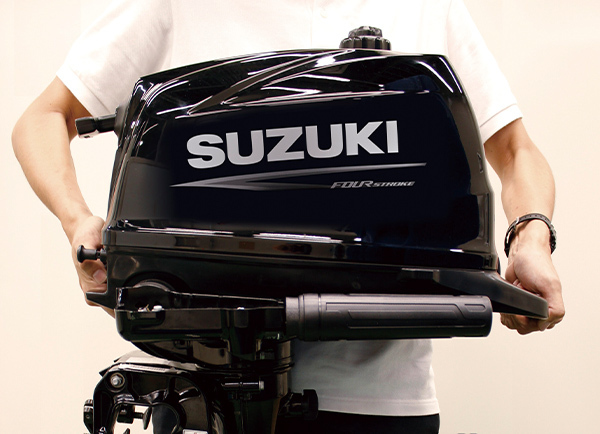 Suzuki's advanced four-stroke technologies deliver highly efficient operation and lower emissions. 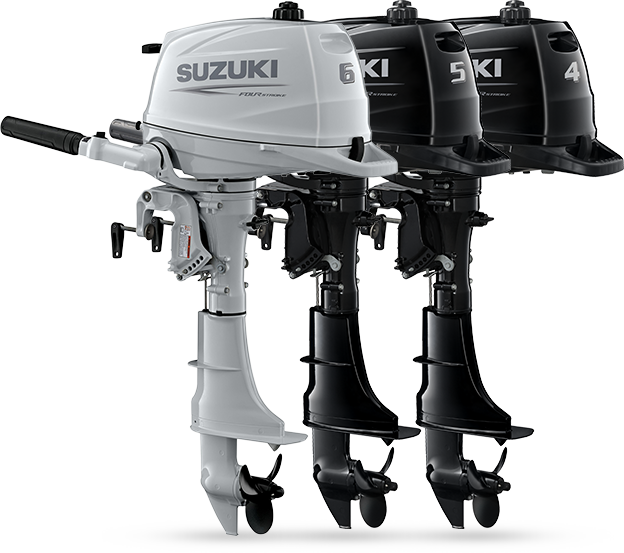 This allows Suzuki outboards to conform to some of the world's strictest standards*3 including the EURO 1 Emissions Standards (Directive 94/25/EC as amended by Directive 2003/44/EC)*4, and receive a three-star rating from the California Air Resources Board (CARB). *3:Emission standards compliancy is region specific. *4:The EU emissions standards (exhaust gasesand noise levels) set by the European Parliament and Council.